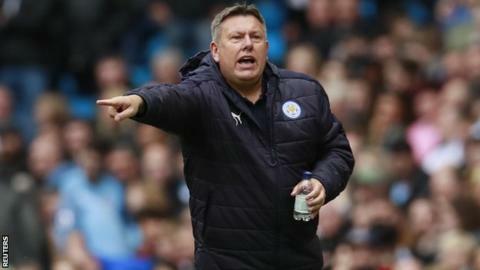 Craig Shakespeare says he expects to be told within days whether he will remain as Leicester manager. The 53-year-old signed a deal until the end of the season when he replaced Claudio Ranieri in February. He steered last season's Premier League champions away from relegation danger and also led the Foxes to the Champions League quarter-finals. "I expect it in the following days after Sunday," he said. "Of course, in my head, I have ideas on that." Shakespeare's contract as assistant manager - the position he held under Ranieri - runs beyond June and he would revert to that position if nothing is finalised by then. He did, however, attend a meeting about player transfers last week. Regarding his involvement in summer deals, he said: "That's the head of recruitment and the director of football's job to deal with that and I'm fairly optimistic and pleased with how far they've got." Shakespeare offered no further update on his future after Thursday's 6-1 defeat at home to Tottenham, saying his only focus was on the Foxes' final game of the season against Bournemouth at the King Power Stadium on Sunday (15:00 BST). No one else is being linked with the job, and Craig Shakespeare has been part of the planning for pre-season and for the recruitment process for next term. He's also popular with the players, with many of them coming out and saying they'd welcome it if he was given the job on a longer-term basis. Will the owners look to appoint a bigger or more marketable name? That's always at the back of your mind, but why change something that's been working well?